Castlefield Gallery today announces Susie Stubbs as the new Chair of its Board of Trustees, who will be taking up her appointment at the end of November 2018. She has been appointed to the role as Marla Cunningham who has served as Chair since 2012 steps down. Susie Stubbs is the Managing Director of brand and design studio Modern Designers. A brand and communications strategist, Susie has spent 20 years working across a variety of sectors, including finance, retail, culture, property and higher education. Her clients range from the British Council, the BBC and Manchester School of Art to JD Sports, Matalan and Selfridges. Susie has long been committed to the visual arts, having begun her career at Tate Liverpool and going on to work with and for organisations including FACT, Whitworth, Manchester Art Gallery and The Lowry. Susie is also a writer, and has published eleven books on art, history and travel for publishers including Tate and the National Trust. In 2017 she established the Pilkington Club, a women’s networking club designed to foster career support for women at all stages of their professional lives, and she is a trustee at the Turnpike and Manchester Camerata. Marla Cunningham steps down after six years of service as Chair of Castlefield Gallery. Born in the US, Marla studied Political Science and German at University of Michigan. She later moved to the UK and earned an MBA from Edinburgh University. Marla has wealth of experience gained in a variety of sectors focusing on sponsorship, philanthropy and partnership. Marla moved into Manchester’s cultural sector in 2006 as Development Director at the Royal Exchange Theatre. Her most recent role is as Development Director of HOME, Greater Manchester Arts Centre, where she led the capital and revenue fundraising programme for the £25m art centre which opened in 2015. Helen Wewiora, Director of Castlefield Gallery, said: “Established in 1984, Castlefield Gallery catalysed a period of activity across Manchester and the region that gave rise to an influx of artistic talent from across the UK, attracted by a growing and dynamic visual arts community. Since then we have provided some of the first opportunities for artists living and working in the North West of England to access formal, recognised exhibition opportunities, alternating and placing exhibitions by more established artists alongside those working at an earlier career stage. Our programming has been especially effective in communicating the strength of these artists’ works regardless of art world status, and is a strategy we still employ today. “We are delighted Susie will join us to lead the Castlefield Gallery Board of Trustees at what is a pivotal moment in the organisation’s history. 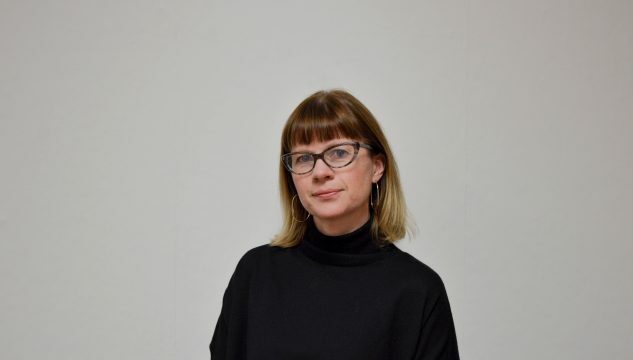 Susie, who succeeds Marla Cunningham, is set to lead and help shape the next chapter as we look towards 2024 when Castlefield Gallery celebrates its 40th anniversary. Castlefield Gallery is a contemporary art gallery, artist focused, and dedicated to showing new and commissioned work from its city centre venue in Manchester, as well as off-site and in the public realm. The organisation supports artists’ career development, in particular through partnership working and services. New Art Spaces is a Castlefield Gallery run scheme that repurposes empty spaces for use by artists across Greater Manchester, accessed by its 200+ Castlefield Gallery Associates. Castlefield Gallery artist patron is the celebrated Ryan Gander. The gallery is a Manchester City Council Cultural Partner, Arts Council England National Portfolio Organisation and currently a recipient of Arts Council England Catalyst Evolve Funding. Catalyst Evolve is an initiative from Arts Council England supporting arts and cultural organisations to grow private giving and build resilience. This means that, between 2016 and August 2019, Arts Council England will match every pound we secure from new Trust and Foundation sources, corporate sponsorship and donations, as well as individual donations made to Castlefield Gallery, on a 1:1 basis.